Is Apple switching up Siri? Siri voice control may become a bit more robust and stretch it legs in the near future, according to an announcement from digital signal processing company Audience. 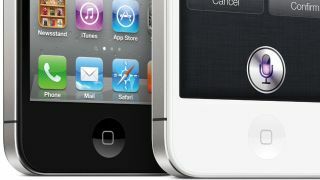 Apple uses Audience noise suppression technology, called earSmart, in the iPhone 4S to boost Siri's signal processing abilities. It's believed to be one of the reasons the voice command software was only available on the iPhone 4S. But it looks like Siri won't need the extra hand moving forward. In an investors' statement, Audience said it believes Apple won't include the company's processors in future iPhones. "Audience now believes that it is unlikely that [Apple] will enable Audience's processor IP in its next generation mobile phone," the statement read. "Audience is not aware of any intended changes by [Apple] to its use of Audience's processors or processor IP in prior generations of [Apple's] mobile phones." Nothing Earth shattering, but this could foreshadow what's to come in Siri's future. For starters, it could mean Siri's finally ready to shed its beta status, even though the digital assistant launch just under a year ago. This might also be good news for users who own an iPhone older than the 4S. If Siri's voice recondition software becomes more robust it won't have to rely on the newest mobile chips. Previously, Apple said the 4S with its A5 processor was the only iPhone with enough horsepower to run Siri. However, a developer ported Siri to an iPhone 4 without many problems, and many hack enabled it on older devices. This is all reading the tea leaves though. Last time we heard about Siri coming to older devices, Apple said it had "no plans" to do so. Yet, the company promised to bring Siri to the iPad 3 when iOS 6 rolls out in the fall. We'll be sure to know more about Apple's plans for the future at its Sept. 12 press conference, where it's rumored that the tech giant will announce the iPhone 5.